This past week I attended two conferences in London, one as a panel speaker and the other in the audience. They were both great conferences and the topics focused on the economy and the role of Non-Executive members of the Board of Directors. While very different topics on the surface, the issues of business growth and the current global (and UK) economic depression very much featured in the panel remarks, audience questions and cocktail discussions. Obviously, everyone is concerned with the economy (well almost everyone, Congress and Parliament seem more concerned with finger-pointing than fixing things!). The good news is that technology is opening up vast new businesses and business models, emerging markets are hungry for goods and services, and there is a large growing global middle class to fuel growth. But we can’t seem to take advantage of all this opportunity. Access to borrowing and investment is limited (banks are not really lending), taxes and red tape are crippling small businesses and stifling creativity and innovation, and companies are laying off thousands of workers. We are missing the opportunity and I am concerned. But at these two conferences the overwhelming sentiment was that “this is just another down cycle and it will come back again if we just hunker down and wait”. And the business press is promoting this belief, citing the strong surge in share prices, the Dow Jones at record highs, and housing prices increasing as well. All classic signs of a recovery. I don’t believe it! I smell a Wizard of Oz situation where if we pull back the curtain, the realities of the situation are revealed. This is not just another economic dip. I believe this is a fundamental and very different crisis that will not go away with time. In fact, unless we face some facts, make some tough decisions and fix the underlying fundamentals, it will only continue to get worse. We have been through several recessions over the past 50 years, but never before have both the US and UK, two global leading economies, been so far in debt. The US is well over 100% indebted, and growing. That means we don’t even produce enough goods and services to pay off our debt, let alone invest in growth and innovation. Business people need to wake up and look at the fundamentals. Government got us into this mess with poorly advised policies (mostly thanks to the big banks who gave them such selfish advice, like TARP, bailouts, etc.) and as businesses we need to become more active in economic policies, not just wait for the good times. There is no “government money”, it’s our taxpayer money. And the more they waste it, the more we have to pay and the more we have to pay in taxes the less we can use to invest in growing the country and our businesses. It’s time to get active. I suggest every business person read the new book by Ziad Abdelnour, Economic Warfare (paperback and Kindle versions on Amazon). 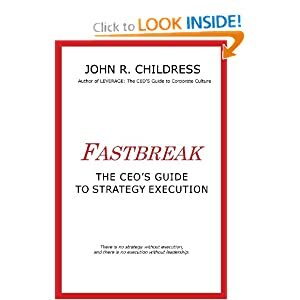 It lays out the current fundamentals of the US and other key economies in a direct and understandable way. Get the facts first. Then decide to get engaged and push your elected government officials to fix the problems, not just “kick the can down the road” and hope for a solution in the future. Or, you can just wait and see! 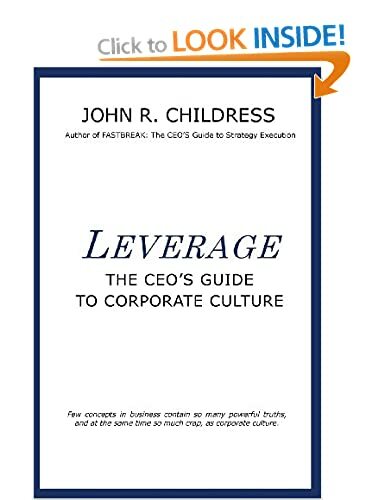 This entry was posted in corporate culture, John R Childress, John's views on the world, leadership, Organization Behavior, the business of business and tagged business, economic cycles, economy, Global debt, Global recession, Michael Bloomberg, recession, US GDP debt, Ziad Abdelnour. Bookmark the permalink. 6 Responses to Waiting for the Economy to Bounce Back? Exactly right John. Historians will look back and see this unfolding event as one of the great economic crises of all time, on a par with the 17th century Tulip Mania, the 18th century South Sea Bubble, the Panic of 1837 and the 1930’s Great Depression. The relevant metrics such as the debt to GDP ratio suggest that the pain of expunging our credit excesses should be far greater than that suffered in past financial crisis when credit excesses were relatively smaller. However, I would be wary of simple precious metal and hard money investment solutions as suggested by Abdelnour in Economic Warfare. In the 1930’s everyone expected inflation to break out at any time as a result of government actions but what they actually got was a deflationary depression. While gold was fixed in value at the time, silver which was free to fluctuate followed paper assets down during the deflation to a final low in December 1932. Timing is everything with respect to investments. Malcolm: as always a thoughtful reply. My interest in Abdelnour’s book is more focused on his analysis of the situation, not necessarily his solution. Good bit of history here to really understand what is behind the problem. By the way, what is your solution to get us out of this mess?